H. T. C. Pedro, R. H. Inman and C. F. M. Coimbra (2017) “Mathematical Methods for Optimized Solar Forecasting” Chapter 4, Renewable Energy Forecasting, Woodhead Publishing Series in Energy, Elsevier, Editor: G. Kariniotakis, ISBN: 978-0-08-100504-0. C. F. M. Coimbra and H. T. C. Pedro (2013) “Stochastic Learning Methods” Chapter 15, Solar Energy Forecasting and Resource Assessment, Elsevier Science, Editor: J. Kleissl, ISBN: 978-0-12397-177-7. C. F. M. Coimbra, J. Kleissl and R. Marquez (2013) “Overview of Forecasting Methods and Error Metrics” Chapter 8, Solar Energy Forecasting and Resource Assessment, Elsevier Science, Editor: J. Kleissl, ISBN: 978-0-12397-177-7. G. Diaz, and C. F. M. Coimbra (2010) “Dynamics and Control of Nonlinear Variable Order Oscillators” In Nonlinear Dynamics, Editor: Todd Evans, ISBN: 978-953-7619-61-9, Publisher: INTECH. L. Yonishige, Ramirez, L. E. S., and C. F. M. Coimbra (2010) “Microthruster Propulsion” Chapter 10, The Emergence of Pico/Nano Satellites for Atmospheric Research and Technology Testing, AIAA Progress in Astronautics and Aeronautics. Editors: P. Thakker and W. A. Shiroma, Vol 234, ISBN: 978-1-60086-768-2). J. L. T. Azevedo, J. Branco, M. G. Carvalho, and C. F. M. Coimbra (1994) “NOX Emissions from a Front Wall Fired Pulverised Coal Boiler” in Energy Efficiency in Process Technology – Editor: P. Pilavachi, Elsevier Applied Science, pp. 872-882. ISBN 1858610192. O. Ozgen, S. Sumengen, M. Kallmann, C. F. M. Coimbra and S. Balcisoy (2013) “Simulating Colliding Flows in Smoothed Particle Hydrodynamics with Fractional Derivatives,” Computer Animation and Virtual Worlds (24) N.5, pp. 511-523. L. E. S. Ramirez and C. F. M. Coimbra (2011) “On the Variable Order Dynamics of the Nonlinear Wake Caused by a Sedimenting Particle,” Physica D (240) 13, pp. 1111-1118. S. Pineda, G. Diaz, and C. F. M. Coimbra (2011) “Approximation of Transient 1-D Conduction in a Finite Domain Using Parametric Fractional Derivatives” – ASME Journal of Heat Transfer N. 133 (7) pp. 071301. O. Ozgen, M. Kallmann, L. E. S. Ramirez, and C. F. M. Coimbra (2010) “Underwater Cloth Simulation with Fractional Derivatives” ACM Transactions on Graphics (29) 3, Article Number: 23. L. E. S. Ramirez, and C. F. M. Coimbra (2010) “On the Selection and Meaning of Variable Order Operators for Dynamic Modeling”– International Journal of Differential Equations Vol. 2010, Article ID 846107. 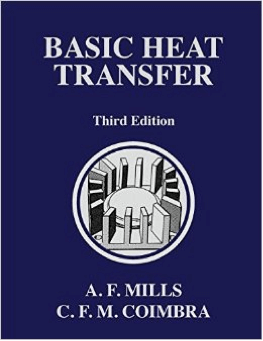 M. H. Kobayashi, H. T. C. Pedro, C. F. M. Coimbra, and A. K. da Silva (2009) “The Formal Evolutionary Development of Low Entropy Dendritic Thermal Systems” - Journal of Thermophysics and Heat Transfer, (23) (1), pp. 822-827. G. Diaz, and C. F. M. Coimbra (2009) “Nonlinear Dynamics and Control of a Variable Order Oscillator with Application to the van der Pol Equation” – Nonlinear Dynamics, 56, pp. 145—157. H. T. C. Pedro, M. H. Kobayashi, J. M. C. Pereira, and C. F. M. Coimbra (2008) “Variable Order Modeling of Diffusive-Convective Effects on the Oscillatory Flow Past a Sphere” – Journal of Vibration and Control, (14) 9-10, pp. 1569-1672. H. T. C. Pedro, M. H. Kobayashi, C. F. M. Coimbra, and A. K. da Silva (2008) “On the Effectiveness of Complex Design through an Evolutionary Approach” – Journal of Thermophysics and Heat Transfer, (22) 1, pp. 115-118. L. E. S. Ramirez, and C. F. M. Coimbra (2007) “A Variable Order Constitutive Relation for Viscoelasticity”– Annalen der Physik (16) 7-8, pp. 543-552. A. K. da Silva, M. H. Kobayashi, and C. F. M. Coimbra (2006) “Optimal Theoretical Design of 2-D Microscale Viscous Pumps for Maximum Flow Rate and Minimum Power Consumption” – International Journal of Heat and Fluid Flow, 28, pp. 526-536. A. K. da Silva, M. H. Kobayashi, and C. F. M. Coimbra (2006) “Optimal Design of Non-Newtonian, Micro-Scale Viscous Pumps for Biomedical Devices” – Biotechnology and Bioengineering, 96 (1), pp. 37-47. 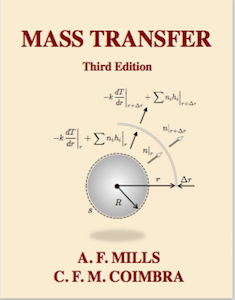 D. L. L’Esperance, J. D. Trolinger, C. F. M. Coimbra, and R. H. Rangel (2006) “Particle Response to Low Reynolds Number Oscillation of a Fluid in Microgravity” – AIAA Journal (44) No. 5, pp. 1060-1064. J. S. Allen, M. H. Kobayashi, and C. F. M. Coimbra (2006) “History Effects on the Viscous Motion of Acoustically Forced Particles” – Applied Physics Letters (88) 214106. M. H. Kobayashi, and C. F. M. Coimbra (2005). “On the Stability of the Maxey-Riley Equation in Nonuniform Linear Flows” Physics of Fluids, 17, pp. 113301. D. L’Esperance, C. F. M. Coimbra, J. D. Trolinger, and R. H. Rangel (2005). “Experimental Verification of Fractional History Effects on the Viscous Dynamics of Small Spherical Particles” Experiments in Fluids (38) pp. 112-116. E. A. Lim, C. F. M. Coimbra, and M. H. Kobayashi (2005). “Dynamics of a Suspended Particle in Eccentrically Rotating Flows” Journal of Fluid Mechanics, (535), pp. 101-110. C. M. Soon, C. F. M. Coimbra, and M. H. Kobayashi (2005). “The Variable Viscoelasticity Oscillator” Annalen der Physik, (14) N.6, pp. 378-389. J. L. Falter, M. J. Atkinson, and C. F. M. Coimbra (2005). “Effects of Surface Roughness and Oscillatory Flow on Dissolution of Plaster Forms: Evidence for Nutrient Mass Transfer to Coral Reef Communities” Limnology and Oceanography, 50 (1), pp. 246-254. J. D. Trolinger, D. L’Esperance, R. H. Rangel, C. F. M. Coimbra, and W. Witherow (2004) “Design and Preparation of a Particle Dynamics Space Flight Experiment, SHIVA” Annals of the New York Academy of Sciences (1027), pp. 500-516. C. F. M. Coimbra, D. L’Esperance, R. A. Lambert, J. D. Trolinger, and R. H. Rangel (2004). “An Experimental Study on Stationary History Effects in High Frequency Stokes Flows” Journal of Fluid Mechanics (504), pp. 353 - 363. C. F. M. Coimbra (2003). “Mechanics with Variable Order Differential Operators” Annalen der Physik (12), No. 11-12, pp. 692-703. L. E. S. Ramirez, E. A. Lim, C. F. M. Coimbra, and M. H. Kobayashi (2003). “On the Dynamics of a Spherical Scaffold in Rotating Wall Bioreactors” Biotechnology and Bioengineering (84) 3, pp. 382-389. C. F. M. Coimbra, and M. H. Kobayashi (2002). “On the Viscous Motion of a Small Particle in a Rotating Cylinder” - Journal of Fluid Mechanics (469) pp. 257-286. C. F. M. Coimbra, and R. H. Rangel (2001). “Spherical Particle Motion in Harmonic Stokes Flows” - AIAA Journal (39) 9, pp. 1673-1682. C. F. M. Coimbra, and R. H. Rangel (2000). 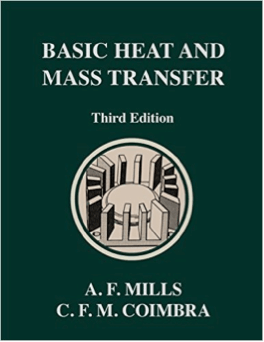 “Unsteady Heat Transfer in the Harmonic Heating of a Dilute Suspension of Small Particles” - International Journal of Heat and Mass Transfer (43) pp. 3305-3316. C. F. M. Coimbra, and R. H. Rangel (1998). “General Solution of the Particle Momentum Equation in Unsteady Stokes Flows” - Journal of Fluid Mechanics (370) pp. 53-72. C. F. M. Coimbra, D. K. Edwards, and R. H. Rangel (1998). 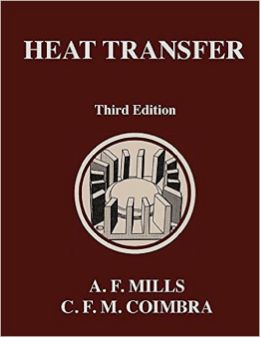 “Heat Transfer in a Homogeneous Suspension Including Radiation and History Effects” - AIAA Journal of Thermophysics and Heat Transfer (12) 3, pp. 304-312. C. F. M. Coimbra, J. S. Shirolkar and M. Q. McQuay (1998). “Modeling Particle Dispersion in a Turbulent, Multiphase Mixing Layer” - Journal of Wind Engineering and Industrial Aerodynamics (73) pp. 79-97. J. S. Shirolkar, C. F. M. Coimbra and M. Q. McQuay (1996). “Fundamental Aspects of Modeling Turbulent Particle Dispersion in Dilute Flows” - Progress in Energy and Combustion Science (22) pp. 363-399. C. F. M. Coimbra, P. J. Coelho, M. Q. McQuay and M. G. Carvalho (1996). “The Comparison of Two Comprehensive Combustion Codes to Simulate Large-Scale, Oil-Fired Boilers” - Combustion Science and Technology (120) pp. 55-81. C. F. M. Coimbra and M. Queiroz (1995). “Evaluation of a Dimensionless Group Number to Determine Second-Einstein Temperatures in a Heat Capacity Model for All Coal Ranks” - Combustion and Flame (101) 3, pp. 209-220. C. F. M. Coimbra, J. L. T. Azevedo and M. G. Carvalho (1994). “3-D Numerical Model for Predicting NOx Emissions from an Industrial Pulverized Coal Combustor” - Fuel (73) pp. 1128-1134. J. L. T. Azevedo, M. G. Carvalho, P. J. Coelho, C. F. M. Coimbra, and M. Nogueira, (1993). “Modeling of Combustion and NOx Emissions in Industrial Equipment”- Pure and Applied Chemistry (65) pp. 345-354. L. E. S. Ramirez and C. F. M. Coimbra (2011) “On the Variable Order Dynamics of the Nonlinear Wake Caused by a Sedimenting Particle,” Physica D(240) 13, pp. 1111-1118. L. E. S. Ramirez and C. F. M. Coimbra (2010) “On the Selection and Meaning of Variable Order Operators for Dynamic Modeling,” International Journal of Differential Equations, vol. 2010, Article ID 846107, 16 pages, doi:10.1155/2010/846107. L. E. S. Ramirez and C. F. M. Coimbra (2007) “A Variable Order Constitutive Relation for Viscoelasticity” Annalen der Physik (16), No. 7-8, pp. 543-552. K. da Silva, M. H. Kobayashi, and C. F. M. Coimbra (2007) “Optimal Design of Non-Newtonian, Micro-Scale Viscous Pumps for Biomedical Devices” – Biotechnology and Bioengineering, (96) 1, pp. 37-47. K. da Silva, M. H. Kobayashi, and C. F. M. Coimbra (2007) “Optimal Theoretical Design of 2-D Microscale Viscous Pumps for Maximum Flow Rate and Minimum Power Consumption” – International Journal of Heat and Fluid Flow, (28) No. 3, pp. 526-536. A. Kaur, H. T. C. Pedro and C. F. M. Coimbra (2014) “Ensemble Re-Forecasting Methods for Enhanced Power Load Prediction,” Energy Conversion and Management (80) pp. 582-590. S. Quesada-Ruiz, Y. Chu, J. Tovar-Pescador, H. T. C. Pedro and C. F. M. Coimbra (2014) “Cloud-Tracking Methodology for Intra-Hour DNI Forecasting,” Solar Energy (102) pp. 267-275. A. Zagouras, R. H. Inman and C. F. M. Coimbra (2014) “On the Determination of Coherent Solar Microclimates for Utility Planning and Operations,” Solar Energy (102), pp. 173-188. L. Nonnenmacher, A. Kaur and C. F. M. Coimbra (2014) “Variability Analysis for Direct Normal Irradiance with SUNY Model and Ground Measurements,” Solar Energy (99) pp. 246-258. M. P. Porto et al. (2014) “Genetic Optimization of Heat Transfer Correlations for Evaporator Tube Flows,” International Journal of Heat and Mass Transfer 70, pp. 330-339. M. P. Porto et al. (2014) “Boiling Heat Transfer on a Simulated Nuclear Fuel Rod with Annular Fins,” International Journal of Heat and Mass Transfer (68) pp. 29-34. Y. Chu, H. T. C. Pedro and C. F. M. Coimbra (2013) “Hybrid Intra-Hour DNI Forecasts with Sky Image Processing Enhanced by Stochastic Learning,” Solar Energy (98) pp. 592-603. R. H. Inman, H. T. C. Pedro and C. F. M. Coimbra (2013) “Solar Forecasting Methods for Renewable Energy Integration,” Progress in Energy and Combustion Science (39) pp. 535-576. A. Kaur, H. T. C. Pedro and C. F. M. Coimbra (2013) “Impact of Onsite Solar Generation on System Load Demand Forecast,” Energy Conversion and Management (75) pp. 701-709. R. Marquez, H. T. C. Pedro and C. F. M. Coimbra (2013) “Hybrid Solar Forecasting Method Uses Satellite Imaging and Ground Telemetry as Inputs to ANNs,” Solar Energy (92) pp. 172-188. R. Marquez and C. F. M. Coimbra (2013) “Intra-Hour DNI Forecasting Methodology Based on Cloud Tracking Image Analysis”, Solar Energy (91), pp. 327-336. R. Marquez, and C. F. M. Coimbra (2013) “Proposed Metric for Evaluating Solar Forecasting Models” ASME Journal of Solar Energy Engineering (135), pp. 0110161-0110169. H. T. C. Pedro and C. F. M. Coimbra (2012) “Assessment of Forecasting Techniques for Solar Power Output with No Exogenous Inputs”, Solar Energy (86), pp. 2017-2028. R. Marquez, V. Gueorguiev, and C. F. M. Coimbra (2013) “Forecasting of Global Horizontal Irradiance Using Sky Cover Indices, ASME Journal of Solar Energy Engineering (135), pp. 0110171-0110175. R. Marquez and C. F. M. Coimbra (2011) “Forecasting of Global and Direct Solar Irradiance Using Stochastic Learning Methods, Ground Experiments and the NWS Database,” Solar Energy 85 pp. 746-756. S. M. Pineda, G. Diaz and C. F. M. Coimbra (2011) “Approximation of Transient 1D Conduction in a Finite Domain Using Parametric Fractional Derivatives,” Journal of Heat Transfer (133), pp. 071301-1 – 071301-6. M. H. Kobayashi, H. T. C. Pedro, C. F. M. Coimbra, and A. K. da Silva (2009) “Formal Evolutionary Development of Low Entropy Dendritic Thermal Systems” - Journal of Thermophysics and Heat Transfer (23) 4, pp. 822-827. M. Li and C. F. M. Coimbra (2019) “Daytime Clear-Sky Radiative Cooling Potential Map of the Contiguous United States,” 99th American Meteorological Society Annual Meeting, Phoenix, AZ. M. Li and C. F. M. Coimbra (2018) “Spectral Modeling of the Radiative Interactions Between Large Scale Solar Farms and the Atmosphere,” 100th AGU Annual Meeting, Washington, D.C.
D. P. Larson, M. Li and C. F. M. Coimbra (2018) “Direct Spectral Estimation of Cloud Optical Properties from GOES-R Imagery,” ASME 2018 International Mechanical Engineering Congress & Exposition, Pittsburgh, PA.
M. Li, Z. Liao and C. F. M. Coimbra (2018) “An Efficient Spectral Model for Evaluation of Clear-Sky Atmospheric Longwave Radiation,” International Heat Transfer Conference 16, Beijing, China. J. Orosco and C. F. M. Coimbra (2018) “Causal Models for Gauss-Lorentz Response of Solid Media to Radiative Excitation,” ASME 2018 MEED Conference, San Diego, CA. M. Li, Z. Liao and C. F. M. Coimbra (2018) “Spectral Model for Clear-Sky Longwave Surface Irradiance,” American Meteorological Society 31st Conference on Climate Variability and Change, Austin, TX. Z. Liao, M. Li and C. F. M. Coimbra (2018) “Nonisotropic Aerosol Scattering Effects on Longwave Irradiance,” American Meteorological Society 10th Symposium on Aerosol–Cloud–Climate Interactions, Austin, TX. M. Li, Y. Chu, H. T. C. Pedro and C. F. M. Coimbra (2018) “Sky-Imaging Network for Intra-Hour Spatial Solar Forecasts,” American Meteorological Society Ninth Conference on Weather, Climate, and the New Energy Economy, Austin, TX. H. T. C. Pedro and C. F. M. Coimbra (2015) “Intra-hour to day-ahead global and direct solar irradiance forecasts,” American Geophysical Union, Fall Meeting, San Francisco CA. Y. Chu, H. T. C. Pedro and C. F. M. Coimbra (2015) “One-Year Real-Time Operational Prediction Intervals for Direct Normal Irradiance,” American Geophysical Union, Fall Meeting, San Francisco CA. H. T. C. Pedro and C. F. M. Coimbra (2014) “Effect of Cloud Observations and Uncertainties on Solar Irradiance Very-Short-Term Forecast,” American Geophysical Union, Fall Meeting, San Francisco CA. C. F. M. Coimbra (2014) “Operational Solar Forecasting System for DNI and GHI for Horizons Covering 5 Minutes to 72 Hours,” American Geophysical Union, Fall Meeting, San Francisco CA. R. H. Inman, J. G. Edson and C. F. M. Coimbra (2014) “Improvement of Turbidity-Based Clear Sky Models for Direct Normal Irradiance,” American Solar Engineering Society, Solar 2014: The 43rd National Solar Conference, San Francisco, CA. R. H. Inman, A. Zagouras, J. Dise and C. F. M. Coimbra (2014) “Solar Variability Clustering Algorithm for Utility Planning and Operations,” American Solar Engineering Society, Solar 2014: The 43rd National Solar Conference, San Francisco, CA. R. H. Inman, A. Zagouras, A. Kaur, J. Dise and C. F. M. Coimbra (2014) “Intra-Hour Dispatch and Automatic Generator Control Demonstration with Solar Forecasting (SUNRISE Project N. 0865-1517)”, U.S. Department of Energy SunShot Grand Challenge Summit, Anaheim, CA. A. Kaur and C. F. M. Coimbra (2014) “Adaptive Particle and Kalman Filter for Intra-Hour Solar Irradiance Forecasting,” 94th Annual AMS Meeting, Atlanta, GA.
L. Nonnenmacher and C. F. M. Coimbra (2014) “Operational Real Time Intra-Day Solar Irradiance and Variability Forecasts based on Computer Vision of Processed Satellite Images Enhanced with Machine Learning Algorithms”, 94th Annual AMS Meeting, Atlanta, GA.
A. Kaur, L. Nonnenmacher and C. F. M. Coimbra (2013) “Comparing Ground and Satellite Imagery for Cloud Identification and Their Impact on Solar Radiation,” American Geophysical Union, Fall Meeting, San Francisco CA. L. Nonnenmacher and C. F. M. Coimbra (2013) “Solar Irradiance Variability: Validation of Satellite-Based Assessment and Prospective Enhancements”, American Geophysical Union, Fall Meeting, San Francisco, CA. Y. Chu, M. Li and C. F. M. Coimbra (2013) “Quantitative Evaluation of the Impact of Ground Sensing Based Cloud Velocity Derivation on Solar Irradiance Forecast”, American Geophysical Union, Fall Meeting, San Francisco, CA. R. H. Inman, Y. Chu and C. F. M. Coimbra (2013) “Cloud Induced Enhancement of Ground Level Solar Radiation”, American Geophysical Union, Fall Meeting, San Francisco, CA. A. Kaur, B. Davis, H. T. C. Pedro and C. F. M. Coimbra (2013) “Power Load Cost Optimization for a High Solar Penetration Community”, ASME 2013 International Mechanical Engineering Congress and Exposition, San Diego CA. M. Fernandez, D. P. Larson and C. F. M. Coimbra (2013) “Contrail Effects on Ground-Based Solar Irradiance Measurements”, ASME 2013 International Mechanical Engineering Congress and Exposition, San Diego, CA. L. Nonnenmacher, R. Schwartz, V. Kostylev and C. F. M. Coimbra (2013) “Forecasting the Marine Layer Front through Physical Inputs and Machine Learning Techniques”, 93th Annual AMS Meeting, Austin, TX. C. F. M. Coimbra (2012) “Evolutionary Forecast Engines for Solar Meteorology,” American Geophysical Union, Fall Meeting, San Francisco CA. © 2014 Regents of the University of California. All rights reserved.